The New Orleans chapter of Young Catholic Professionals has had a successful first year! YCP New Orleans is having an Anniversary Party and you're invited as YCP's 15th chapter celebrates 1 year! 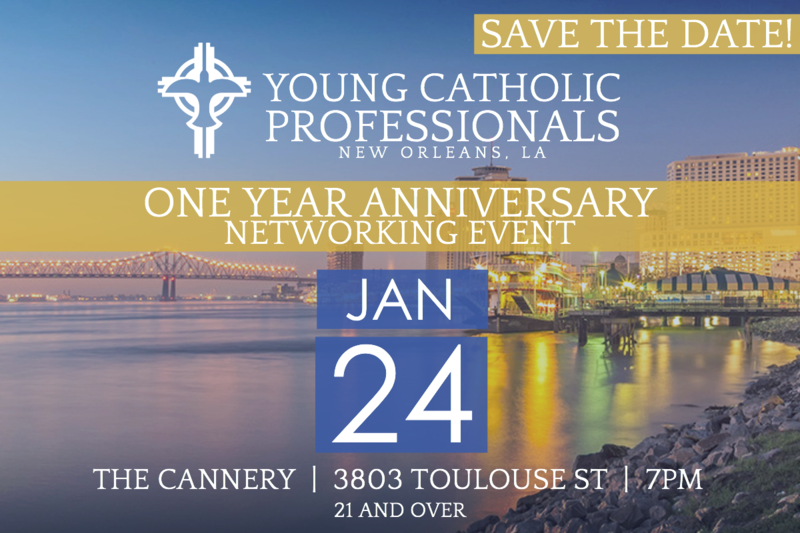 Young Catholic Professionals (YCP) is one of the nation's fastest-growing, Catholic organizations with chapters in cities across the country and now finally in NOLA! Join other vibrant, Catholic young professionals at this free event. Celebrate the anniversary of the start of our chapter with complimentary drinks and appetizers while you meet other young adults. Professional attire, please. All NOLA area professionals, especially young professionals in their 20s and 30s are invited to this FREE event! We look forward to celebrating this exciting community with you!